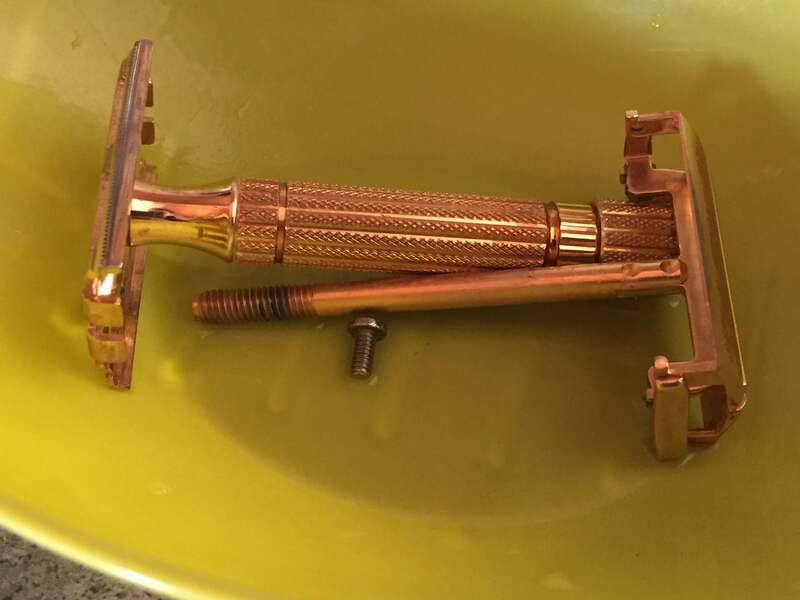 As some of you may recall a few months ago I acquired my father's Gillette 1951 Aristocrat and a 1958 Fatboy (bought locally) and I was wondering what to do with them. I've decided to have them revamped and replated and I'm going to post pictures of the process. First pictures will be of the razors in the as is condition, next will be at the revamp stage and then, when they're done I will post the After shots. 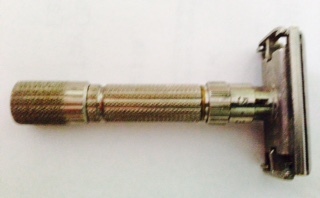 The aristocrat was missing an end cap which needed to be sourced and soldered on and I have to say, the Fatboy was pretty gross inside - I like the after condition much better. 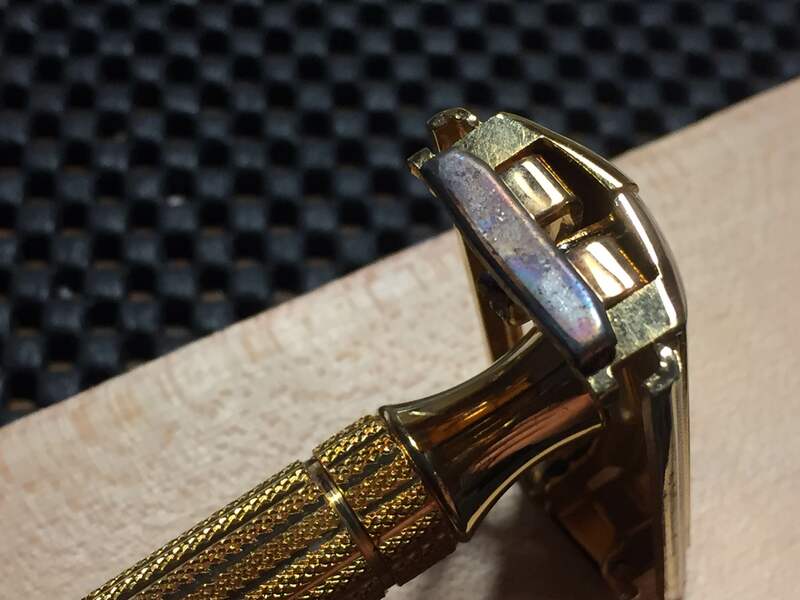 I'm not going to say what the new finishes will be at this time so you'll have to stay tuned for that and thats likely still several weeks away. I've enjoyed the process thus far. Hi Kevin, its been fun so far. I followed your advice and no regrets so far. I agree with Kevin, Mark. 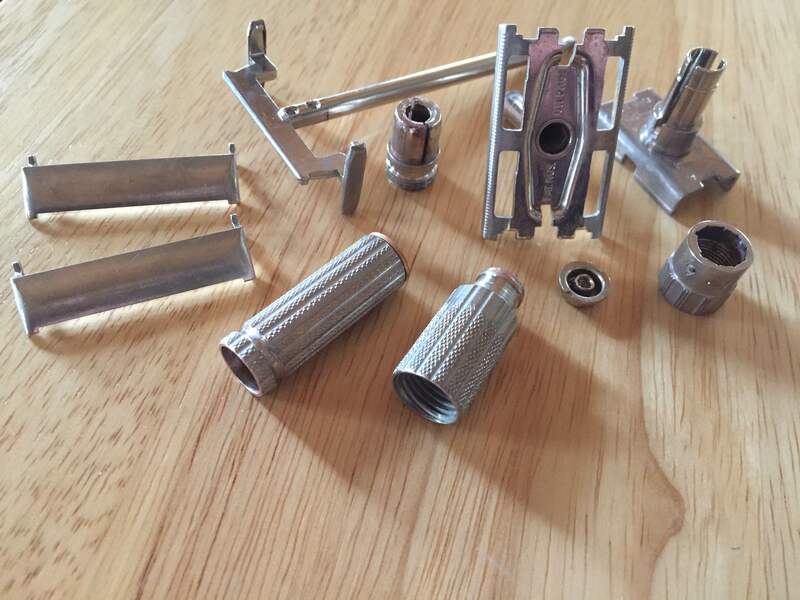 These types of threads add so much to the site and it's really interesting to see your razors broken down to their various parts. I shall look forward to your ongoing posts. Nice work Mark. Did you do it yourself? I agree with Freddy in that it is very interesting to see the Fat Boy all disassembled. Can't wait to see the finished products! Mark, who's going to refinish them for you. (01-08-2016, 06:18 PM)wyze0ne Wrote: Nice work Mark. Did you do it yourself? I agree with Freddy in that it is very interesting to see the Fat Boy all disassembled. Can't wait to see the finished products! No, I'm having it done by Chris at Razorplate.com He came highly recommended by kwsher , the mechanical work and sourcing /soldering of the missing aristocrat end cap was done by another individual on Chris' recommendation. Chris has a day job and does replating on the side so there is a bit of wait. He's getting to my project in the next week or two and I contacted him a couple of months ago, patience is a virtue. I think I could probably handle the disassembly/cleaning/reassembly but the end cap finding and soldering probably not. Nice. Look forward to the final finish. Chris at razorplate.com does absolutely beautiful work! I haven't had anything replated, yet, but I have seen many pictures of Chris's work. 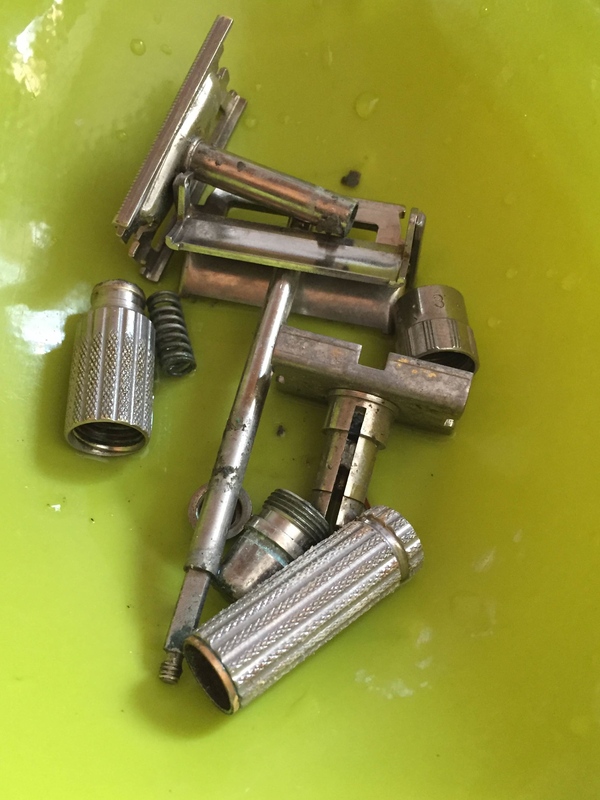 The greatest part(I think), is that I don't believe Chris makes much, if any profit from the replating of razors he does. 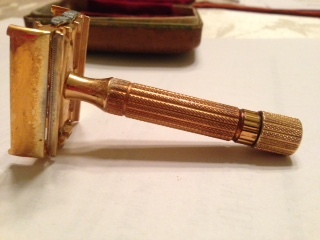 He does it because he enjoys it and likes to see all of these vintage razors back to their original glory. To me, this is absolutely outstanding! As you said, Chris has a day job. 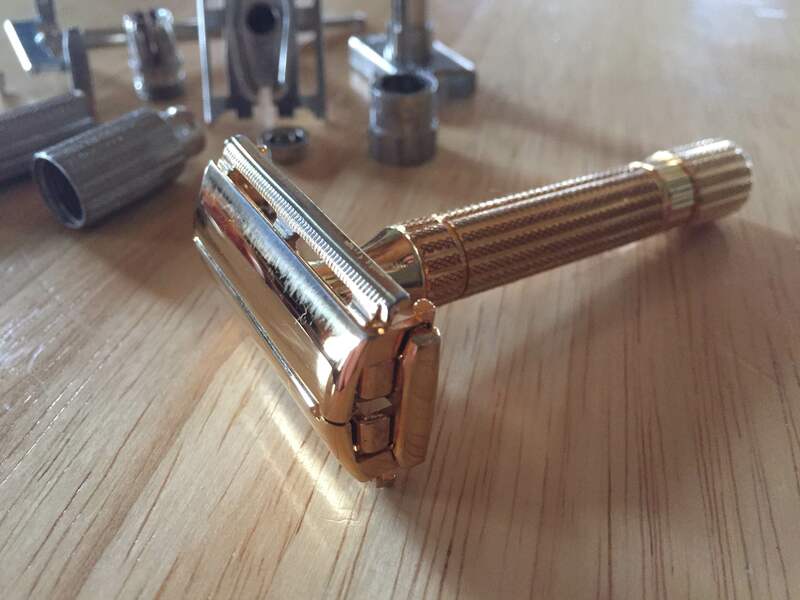 Kudos to him for doing the wonderful work he does making these vintage razors beautiful again! I think you will be very amazed and happy with the end result! I can't wait to see how they turn out!